Manipuri film could occupy a small space in cinema halls during the time when Hindi and English films dominated the Cinema halls of Manipur. 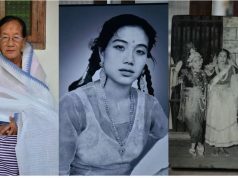 Cine-goers of Manipur started watching Manipuri films when Hindi films were banned in the 2000. 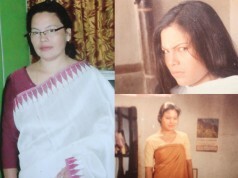 That was the time Manipuri digital films started replacing the Bollywood and Hollywood films. Now the status of Manipuri digital cinema is not as it was before. Some development could be seen. In the Trend of development of Manipuri digital cinema, the role of film maker, Romi Meetei cannot be ignored. 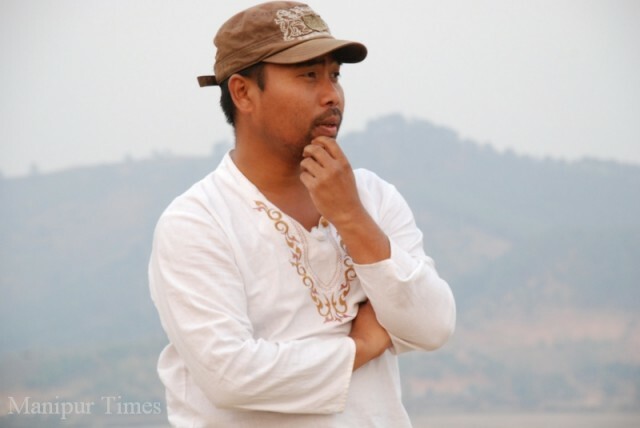 36 years old Romi Meetei, a renowned Film maker of Manipuri Digital Film, hailing from Wangkhei Pukhrambam Leikai, Imphal East has directed 36 Manipuri feature films and 3 short films so far. Romi is currently working in 3 Feature films titled Thajagi Maihing, Mounao Thoibi and Likli. Under his Direction, Romi Meetei has made 3 short films titled Kangkhada Lin, Cease Baby Whimpering Cry and Nung amadi yerum. His short film “Cease baby whimpering cry” was selected for Mumbai International Film Festival and Asiatic Film Medialle, Rome, Italy. Nung Amadi yerum was selected for Frankfurt film festival 2012, Indian Panorama 2011and Mumbai International Film festival (international section). 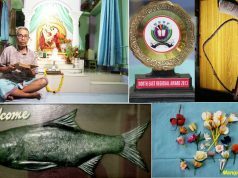 Recently, his short film Kangkhada Lin won the best short film award in Brahmaputra valley film festival 2013 held at Guwahati. 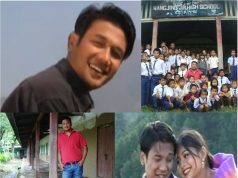 Romi Meetei’s first film is Angangba Kurao Mapal, a Manipuri Digital film. He started his career as lyricist. He wrote 200 plus songs for Music albums. He also earned money working as an Instructor of Computer Software Applications at a computer centre. He did many cover designing of Manipuri Music album cassettes too. 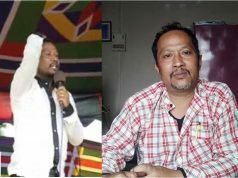 Romi Meetei did not get the knowledge of film making from any formal Institute. His knowledge of film making is a self taught one without the help of any teacher. Internet was his teacher. He read many books of film making through Internet. 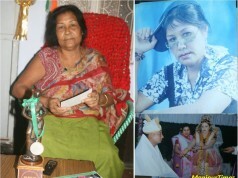 Romi Meetei’s mother Bhanuleima is a singer of Meetei Ishei (folk song) while his father is a Tailor by profession. The artistic talent of his mother gave an impact on young Romi’s mind to be a film maker. During childhood, he participated in the dramas where he played the main role. However he has not preferred acting as lifetime career. Romi Meetei got his primary education from Yaimabi Primary School, Wangkhei popularly known as Khgongban School. 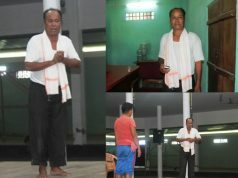 He passed Matriculation from C.C higher secondary school in 1992 and completed B.A (Sociology) from DM college of Arts, Imphal. Music is a main pillar of the whole film. It cannot be weak as it helps the temperament of the whole scenes of a film says Romi. His love for Indigenous Music and intention to promote it are the main reason behind the frequent use of Indigenous music as background music in almost all his films. It can directly hit the heart of a man and leaves an indelible impression in the mind of the viewer explain Romi. Trying to get a platform of his films in the international market is one of Romi’s dreams. To start the venture Romi is planning to make a children film titled “Eigi yum “(My home). As making of Children films requires huge investment, he plans to make it with the help of some outside corporate markets. To visualise his children film “My home” in many countries, he will seek financers from other countries like USA, Germany, France, Poland and others. Financers involved in making his film will automatically try to show his film in their respective countries with subtitles in different languages. This is the first step of Romi Meetei’s venture to uplift Manipuri Cinema in the international Market. Many children films of other countries arrive our state while our films cannot go outside. There are ample possibilities to export our film products if many good films are made. In the venture to join in the world Cinema, I have moved some steps forward and will not retreat. Dream of making Manipuri films that will be internationalised will surely be materialised, says Film maker, Romi Meetei who always thinks for his state. The present market condition of Manipuri digital Films is not good. As far as my experience of making almost 36 Manipuri films are concerned, a film hardly earns up to Rs15 lakhs. Among the 36 films I made, there were many best feature films. The so-called best film in Manipur finds it hard to earn up to Rs.15 lakhs. Producers are afraid of market loss and produce film with 5/6 lakhs budget in view of the poor market condition. 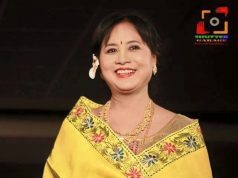 If the present Trend of Making films without using much sophisticated equipment or Infrastructures continue longer, there are no positive perspectives of Manipuri films and expansion of the scope of Manipuri films is a far cry. I appreciate Manipuri people for watching our low budget films. In view of the equipments and infrastructures required for making a good feature film, Manipuri films are imperfect. Our people however support and watch it. It is an encouragement to the Film activists by our people. Manipuri film Industry has now developed to some extent with the support of our people. Some public acclaimed Actor and Actresses can earn about Rs1 lakh per month. The payment a director receives is in proportionate to their heavy labour in making a film. Right from the start of shooting and releasing a film, film makers are always engaged and do not have chance to earn by doing other business. In view of the market condition of Manipuri films, Film makers are not courageous to claim high wage that they have to compromise with their wages. However, the present wage paid by the film makers is supportive for family maintenance, Says Romi Meetei to Manipurtimes with a complacent smile. Talk about development when the industry produces quality films. Right now the mass releases are just stock pile of garbage, some “wanna” be actors and actresses with pretty faces and zero acting skills thrown in front of camera and hoping for development it’s just a dream. If you are trying to make movies don’t make us cringe with silly actings. I’m a movie lover and would like to see our industry develop but not the way it’s going. I’m sure it’s just not me who sees manipuri cinema’s current scenario the way it is. Then only then we can see the industry thrive.